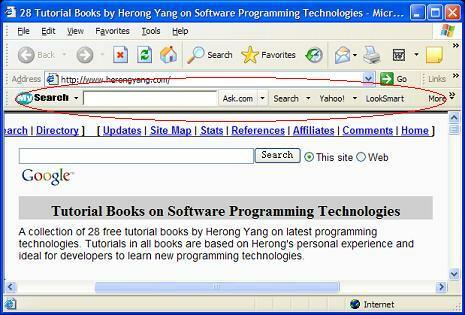 This section provides a tutorial example on how to remove MySearch toolbar - S4BAR.DLL. MySearch toolbar offers you a quick way to perform a Web search with 3 default search engines: google.com, yahoo.com, and ask.com. However, it does take away space from your browser window to make a "bar" to displays icons for you to invoke its functions. I want to remove it. how it was installed they may want to remove it. 2. Went to Control Panel > Add or Remove Programs, and removed "My Search Bar". Result: MySearch Toolbar is gone!